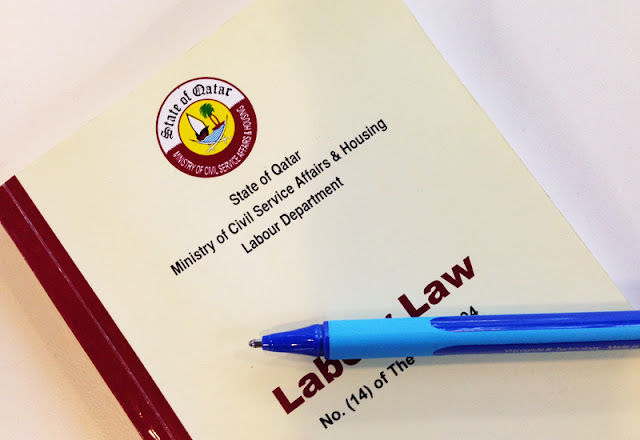 A new Labor Law in Qatar will come into effect starting December this year, while in Oman, the government is planning to abolish the "No Objection Certificate" (NOC). In the news of Times of Oman, Said bin Nasser Al-Saadi, advisor to the Minister of Manpower confirms the plan to remove the NOC option. As of now, he said, they are considering it seriously. Said bin Nasser Al Saadi added that they are updating and modifying the rules. He promised that the new labor law of Oman will be more flexible and easier for the labor market to attract investment. 2. Expatriate employees need an NOC before quitting the job and return to join a new company. 3 In the absence of NOC, the law prevents expatriate workers from returning to Oman for two years. 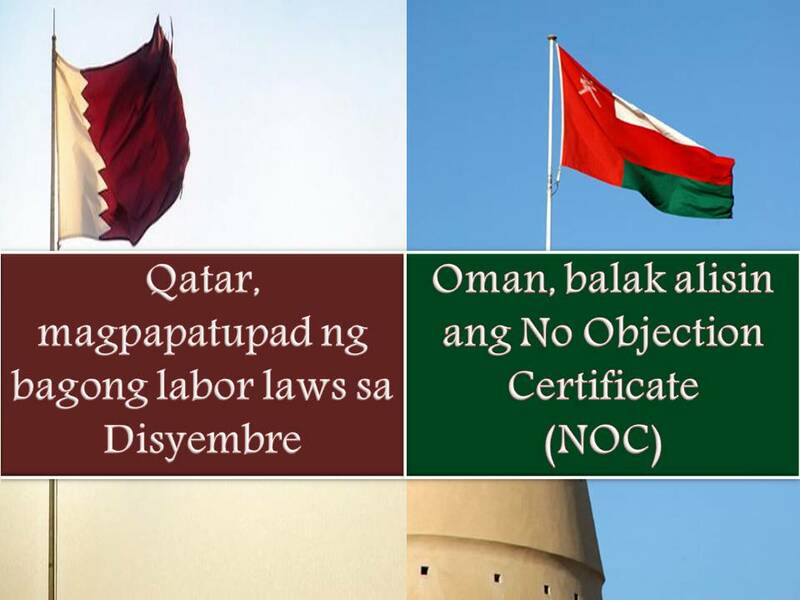 In 2004, NOC was made mandatory in Oman and since then, it is being labeled as an "exploitative" tool for the employers to hold back their expat workers. 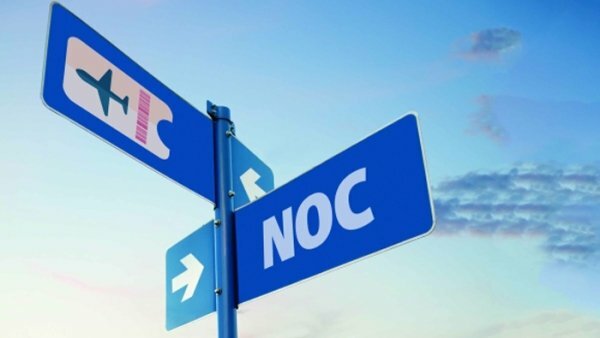 Several employees who wished to quit Oman and return to join a new company after completing their job contract were forced to give up their end of service benefits in return for the NOC. On the other hand, Qatar's Law No. 21 of 2015 will be implemented this coming December 14, 2016, after a year of publication in Qatar's Official Gazette. Under the new law, Kafala or sponsorship system will be replaced with a contract base system. It also abolishes the exit permit system in the country. Under the new law, a worker can return to the country, two or three days after his departure if he gets a new contract and fulfills entry visa requirements and if there is no court verdict against him. There will be a new contract for every employer based on new system and it will be different from the one based on Kafala System. However, the law will be applicable only to new contract and not be applicable to contract signed before the implementation. Expatriate workers can now change jobs but are subject to condition. In the end of contract period, expatriate worker with fixed job contract can change work and signed a new contract if he want to. In this case, approval of current employer is no longer needed, but it is important to have an approval from Ministry of Interior and Ministry of Labour and Social Affairs. Exit permit from the sponsor will no longer require for an expatriate worker to leave the country. He only needs to inform the employer that he will be leaving. The employer has no right to stop the worker from leaving the country. If the employer objects, both sides can approach the grievance committee to be set up under the law to look into such complaints. Under the law, a worker can leave immediately in case of emergency but he should notify the employer and with the approval of authorities concerned. The new law has also raised the penalty on employers for keeping the passport of an expatriate worker from QR25,000 for each passport.